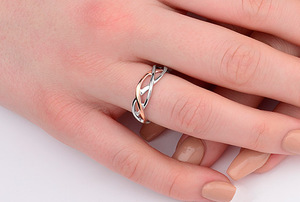 Our beautifully elegant Eternal Loveweave ring symbolises a pure and everlasting love. 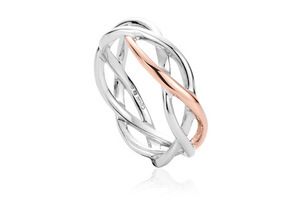 The sublime silver and rose gold weave pattern is inspired by the Celts and represents an infinite love, the perfect way to show your devotion to a special someone. 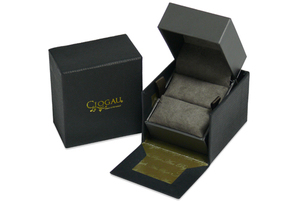 The elegant Eternal Love weave ring contains rare Welsh gold - the Gold of Royalty for over 100 years.